In fact, the best and easiest advice to anyone, in avoiding such a problem ---> is to avoid all sort of meaty diets, wines and stress. In other words, the safety and healthiest methods would be to adopt a vegetarian lifestyles (with the appropriate balance). It contains a rich source of selenium. 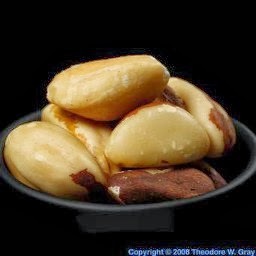 It is estimated that, just an ounce of Brazil nuts can contain as much as 10 times the RDA for selenium. Studies have shown that selenium intake is associated with a reduced risk of prostate cancer. The Brazil nuts has a very good source of zinc (an important mineral that plays an important role). Because of its high saturated fat content, it is suggested that ones should not consume in excess (perhaps, just a few ounces per week), as they are such a super food when it comes to selenium. This vegetable contains high amounts of the phytonutrients sulforaphane and the indoles (both having anticancer properties). Studies has discovered that indole carbinol, can suppress the growth of prostate cancer cells and inhibited the production of prostate specific antigen. Researchers found that eating broccoli more than once a week can reduce the likelihood of developing stage III and IV prostate cancer by 40 percent. Do not overcooked (not longer than five minutes), or otherwise, its anticancer abilities will fade. 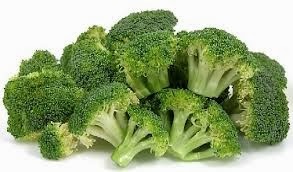 In order to boost the healthful value of broccoli, do add virgin olive oil, fresh garlic and cayenne. It provides a good source of antioxidant compounds called catechins, which has been shown to destroy certain viruses and bacteria, boost immunity and fight prostate cancer. Research has shown that green tea polyphenols can significantly lower the levels of biomarkers for prostate cancer. 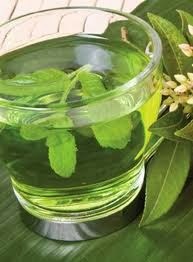 Studies has shown that men who drink at least 3 cups of green tea a day have a reduced risk of prostate cancer. And, experts have found that compounds of green tea interfere with the activity of an enzyme having a role in initiating prostate cancer. These compounds also prompt prostate cancer cells to destroy. Catechins help to repair damaged DNA that can otherwise trigger cancer growth. 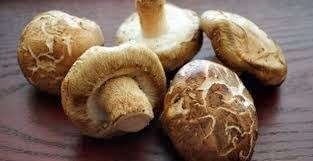 Asian mushrooms are known to contain lentinan, a type of ß glucan that has demonstrated anticancer properties. They also contain a potent antioxidant called ergothioneine. Its forte is exerting potent antioxidant properties to protect the cells throughout the body, including the prostate. One research recently found that ergothioneine provides protection to cells from damage associated with toxins and other substances. This superb fruit is rich in antioxidants and a phytonutrient called ellagitannin, which is especially helpful in promoting prostate health. 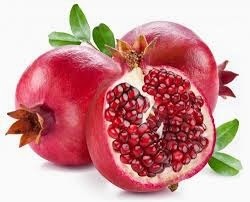 Studies showed that pomegranate extracts can slow the production of prostate cancer cells and prompt the cells to destroy themselves. It offers unique health benefits for the prostate, especially for those who have benign hypertrophy of prostate. Pumpkin seeds’ oil helps preventing the hormones from triggering multiplication of prostate cells. This oil also contains carotenoids and omega fatty acids. Studies show that men who have high levels of carotenoids in their diet, have a reduced risk of prostate enlargement. 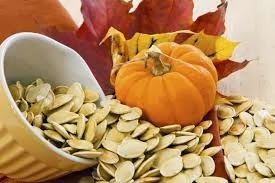 Another nutrient found in pumpkin seeds is zinc, which is also associated with prostate health (zinc protects against the development of prostate cancer). Omega fatty acids are an important nutrient for supporting prostate health. Studies have found that omega-3 fatty acids in fish, slow development of prostate tumor and progression in men. 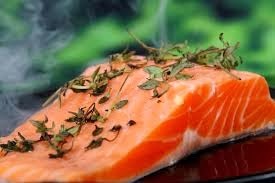 Researchers have reported that eating salmon at least once per week might reduce a risk of developing advanced prostate cancer, even if it is genetically predisposed. Always choose wild salmon for a healthier choice than the farmed variety. This provides a good source of lycopene. It is a potent antioxidant that has proven itself to have properties that enhance prostate health. Tomatoes’ antioxidant potency increases when they are processed. 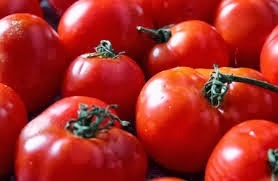 Thus tomato paste, soup, sauce or juice offers more antioxidant protection for the prostate than do fresh ones. As such, many studies showed that processed tomato products really enhance prostate health. Researchers said that, just a serving of tomato product every day can protect against the DNA damage that sets the stage for prostate cancer. Besides, it is also helpful for managing benign prostatic hypertrophy. Why do people sleepwalk ? According to the website of 'how stuff works.com', sleepwalking is an intriguing phenomenon. How does it happened (performing physical feats), when you're sleeping. How can a person be unconscious but still coordinate his, or her limbs to walk, talk and, to some extent ... even drive ! Also known as somnambulism, it is classified as an abnormal behaviour during sleep. Sometimes, it may includes bed-wetting and teeth grinding too. Just imagine how complex our brains are and how many tasks it performs. Besides enabling ones to breath, your heart to beat, and recording all the memories of your life ... it also enables you to laugh, cry, love and converse. But, what makes a sleeping body rise ? People used to think that sleepwalkers were acting out their dreams and subconscious desires and fears. Take Shakespeare's Lady Macbeth, who during the day conceals the depth of her treachery, but at night in her sleep confesses her guilt. Sleepwalking episodes can last from a few seconds to half an hour. Such persons will usually have glassy-looking eyes and blank expressions on their faces. They might look awake but act clumsy. They are capable of performing a variety of activities, from simply getting up and walking around the room ---> to driving a car, or playing an instrument. They occured mostly in children. Individual sleepwalker behaved in their own ways, such as some kids are found wandering on the front lawn, or they walked down the street in their pajamas. However, as time goes on ... kids tend to grow out of it. The adult population of sleepwalkers is lesser. Sleepwalking often runs in families and occurs more often in boys than in girls. The question is ---> why do we get up and walk around in the middle of the night ? In fact, no one knows exactly why people sleepwalk. People used to think that sleepwalkers acted out their dreams. It has nothing to do with epilepsy, hysteria, dissociative disorders, or any other complications. Nonetheless, mental health professionals defined sleepwalking as a "disorder of arousal," which means that something triggers the brain into arousal from deep sleep. This means, the person is in a transition state between sleeping and waking. 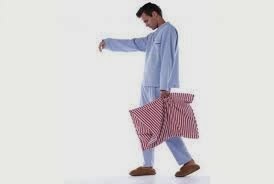 Most adult sleepwalkers also sleepwalked during their childhood. It rarely begins in adulthood except as a symptom of other disorders. Children tend to sleepwalk more when they are overly tired, or stressed. The same factors also affect adults (certain medicines, alcohol and fever illnesses). If your child is sleepwalking, he, or she will probably either grow out of it, or can be helped by a regular sleep schedule and some stress reduction. If you're an adult and start sleepwalking, it might be a good idea to talk to a doctor. Otherwise, it should be considered as a harmless 'behaviour' and it will take its own pace to grow out of it.